Any business can be run profitably if you are willing to putin the time and effort required. You can always take up a business idea that is in demand highly and be sure to get profits out of it. But if you are someone who loves to take up a challenge, then why not opt for something off-beat? Sounds interesting, doesn’t it? One such business idea is that of livestock farming. Now, before you dismiss the idea as a completely impossible one, think about it. 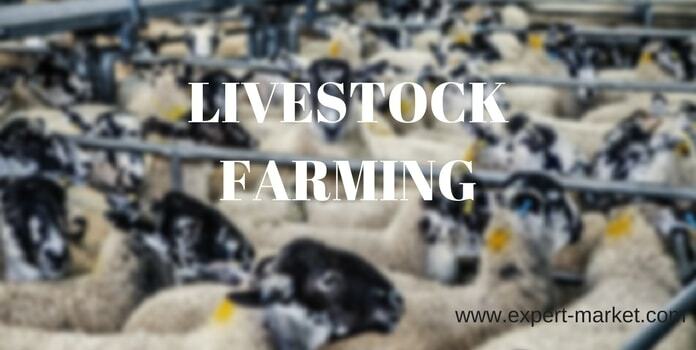 Livestock is always in demand, be it on farms or in the dairy industry, or even in the equestrian and wool industry. Plus, you have the freedom to stock any kind of livestock that you wish to. Rearing animals is agreat experience and it is also a great way to contribute to a greener planet by helping to maintain the balance in nature by rearing animals. It is actually quite a profitable business if you can make it work. Having said that, starting a livestock farming business, is not an easy task, at all. There are a lot of factors involved in the process. First and foremost you need to make sure that you are up to the task and are ready to commit yourself to the task of looking after the animals that your rear at your farm. After all, there are going to be really inconvenient situations that arise at your animal farm and you need to be available at all odd hours to take care of the situation. Once you have ascertained that, do abit of research as to what are the animal species that will thrive in the climate of your locality. This is of utmost importance since you are investing in live raw material and their health is the most important thing to keep in mind.Next, get a license for your farm. That will allow you to start setting up your business with ease. Also make sure that you acquire all the required permissions for purchasing the animals. Next step is to ensure that all your livestock is vaccinated, and medically taken care of at regular intervals. Contact and make a team of livestock-sitters and veterinarians in order to ensure thatyou are well-supported in case of any kind of emergency. Plan out your locationand demarcate proper spacing for all the variety of livestock that you will be hosting. Once all these formalities are done, bring in your livestock. Market your farm so that your desired client base, be it individuals orparticular industries, know about you. Take proper care of your livestock andensure quality. This will get you more clients. You can cater to farmerslooking for cattle for their farms or you can rear sheep for wool. The possibilities are endless. The business of livestock farming is fast dwindling and therefore, the demand for livestock is unmet. You can easily start your own livestock farming and reap profits out of it. Thereare a lot of complications involved when it comes to maintaining a livestock farm. It is hard work to keep it up. However, once you are able to do that, theprofits are unparalleled.